Looking for an OSR powered clone of Star Trek: The Original Series? 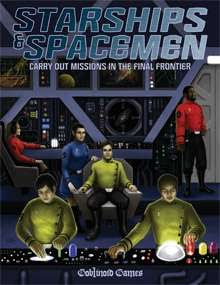 Look no further - Starships & Spacemen Second Edition is today's Deal of the Day at RPGNow. Normally $6.45 in PDF, for the next 24 hours Starships & Spacemen will be on sale for $3.87 - 40% off.